PAUL DERVAN: Become part of their ritual. Become part of their ritual. Did you know that putting a lime slice in your corona bottle only dates back to 1981? I didn't. I always thought it was something to do with killing the bacteria that might be around the bottle when in storage. Nope. According to famous brand guy, Martin Lindstrom, the ritual started as a bet by a barman and his mate to see if others in the bar would do the same. Clearly they did. 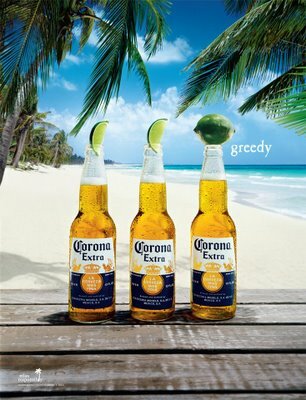 Lindstrom makes the point that the lime slice ritual had contributed significantly to Corona's success. We use rituals as a shortcut. We perform lots of rituals every day. Often without thinking. Lindstrom places them into different categories. For example, 'preparing for battle' is all the stuff we do each day from brushing our teeth, showering, checking our email or buying a coffee in the morning from the coffee angel when we get off the bus. In his book Buyology, Lindstrom points to other brands that inject rituals into the way we buy or use stuff. Guinness turned a potential weakness (waiting for slower pint) into a ritual that is expected and appreciated by proper Guinness drinkers - good things come to those who wait. Become part of their daily ritual and your brand is in a good place.